The ski resort of La Plagne is situated in the Tarentaise area of the Savoie department in the Northern Alps region. It is part of the Paradiski ski domain. The lift served area extends from 1350 metres to 3200 metres. There are 425 km of lift served runs. There are 90 km of cross country trails. The resort features a snowpark. La Plagne is built into a large flattish North West facing bowl. With the opening of the les Arcs link in 2003 it forms one of the largest ski areas in the world. Plagne center is not particularly attractive and there is a large Club Med property that despoils Aime la Plagne but it does offer ski-in and ski-out practicality. Belle Plagne is a pleasant low impact village at the northern side of the bowl. If you are driving beware that parking is strictly controlled in all the resortsand that Belle Plagne/Bellecôte is the home of Le Cowboy, the local chief of police who gets up at 6am to slap tickets, wheel clamp and tow away anyone who is illegally parked. You can park indoors at Belle Plagne or outdoors if you arrive at the weekend. There is a small office at the entrance of the car park area where you can get a weekly car parking ticket foraround 30 Euro. Beware much parking is only 3 hours, park where you are told or get shot down by the Cowboy. Belle Plagne has a number of bars and restaurants and is well placed on the Roche de Mio bubble lift. However to get up to Bellecôte glacier you may want to look for alternative routes as the bubbles can be full from skiers coming up from Bellecôte, the queue may look small but hardly seems to move. The Blanchets and Roche de Mio provide a less busy alternative. 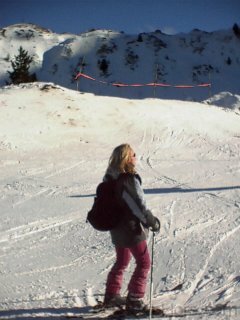 Snow Fox Holidays are a small independent company with ski to door catered chalets in the excellently located Plagne Soleil at 2050 metres altitude in the heart of the la Plagne ski area. 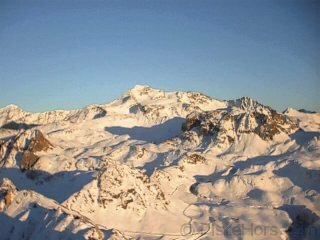 Laplagnet.com has information about the resort of la Plagne including accommodation and travel options.